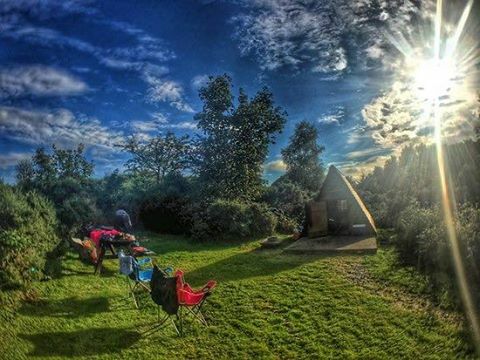 Our two Timber Tents are our smallest, basic camping cabins that accommodate 2 adults or 1 adult & 2 children, sleeping on the wooden floor (bring either an inflatable mattress or camping mats). They are extremely well insulated, have a double-glazed window and lockable door. They also have a power point, light & heater. 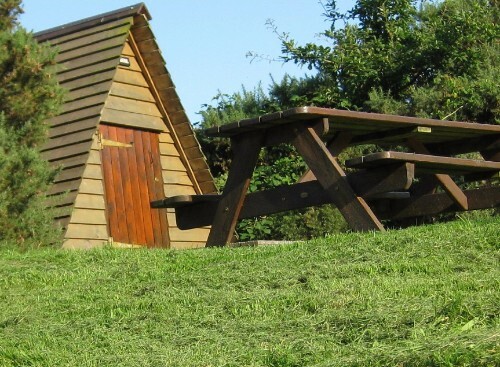 Internally, the timber tents measure approx 9ft x 6ft and are over 6ft high. Outside, you have a picnic table and firepit. Inc 2 people from midweek £22.00, weekend £25.00 per night. Inc 2 people from midweek £27.50, weekend £30.00 per night. Inc 2 people £32.00 per night. Close to the coastal villages of Kippford, Rockcliffe and Sandy Hills with its excellent safe wide sandy beach. Lots of pubs and restaurants along coast and in the neighbouring towns of Dalbeattie and Castle Douglas. On site BIKE HIRE you can ride straight off the farm into the neighbouring forest with miles of safe cycle trails. Onsite fishery with tackle hire available. All our cabins have campfires & we sell campfire supplies on the farm.